You’ve probably heard of lice. Maybe you’ve even had them, or known a friend who has had them. Lice are annoying and gross, but they don’t spread disease and they’re not dangerous. Still, it’s good to know what to look for when it comes to head lice. 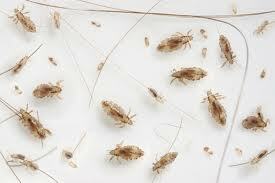 All About Lice: Head lice are really small. Adult lice are only about as big as a sesame seed. Head lice are really small. Adult lice are only about as big as a sesame seed. They’re hard to see because they move quickly and tend to hide close to the scalp. You might notice small white or yellow dots in the hair, under the ears or near the scalp. These dots look a little like dandruff, but you can’t brush them off. They’re stuck to the hair. Yuck! Lice can also cause your head to feel itchy or tickly. If you think you might have lice, ask your mom or dad to look at your hair. 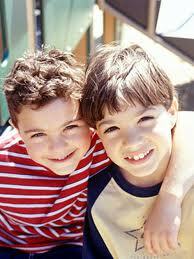 Lice spread easily from one person to another. Don’t use your friends’ combs, hair clips or hats. Lice feed on tiny amounts of blood from the scalp. Sometimes they leave red, itchy bumps. If you have lice, you’ll need to use a special shampoo to get rid of them. You’ll also need to wash all your clothing, bedding and pillows in hot water. Anyone can catch lice. Getting lice does not mean you’re dirty or don’t take care of yourself. You could take a shower three times each day and still get head lice. Lice spread easily. Don’t sit head to head with your friends. A video about the things you didn’t know about lice. Question: If I get lice, will my family get it too? Answer: Lice spread easily, so your family might get lice too. They should wash their bedding and use a medicated shampoo, too. Question: How can I prevent head lice? Answer: There’s no way to completely guarantee you won’t get head lice. Don’t sit head to head with your friends, and don’t borrow their combs. Enjoyed the Easy Science for Kids Website all about Lice info? Take the FREE & fun all about Lice quiz and download FREE Lice worksheet for kids. For lengthy info click here. Declan, Tobin. " Lice Facts for Kids ." Easy Science for Kids, Apr 2019. Web. 18 Apr 2019. < https://easyscienceforkids.com/all-about-lice/ >.